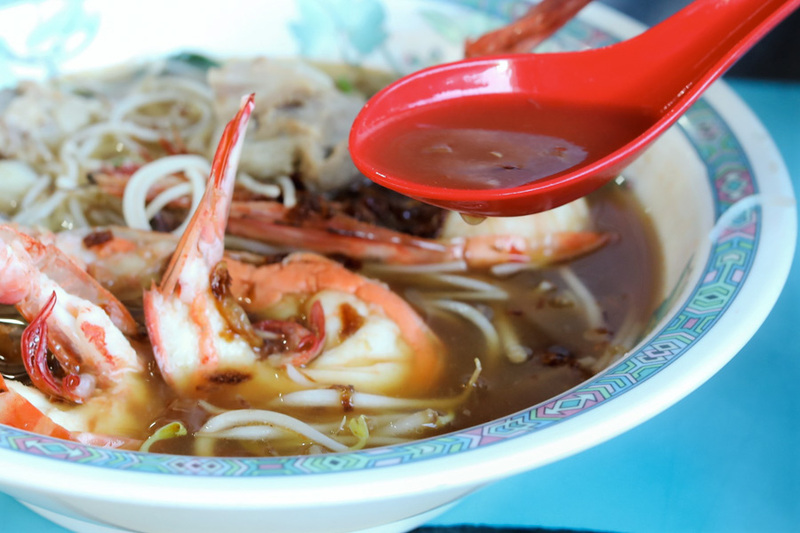 On a search for some of Singapore’s best prawn noodles, I was recommended to Jalan Sultan Prawn Mee 惹蘭蘇丹蝦麺. 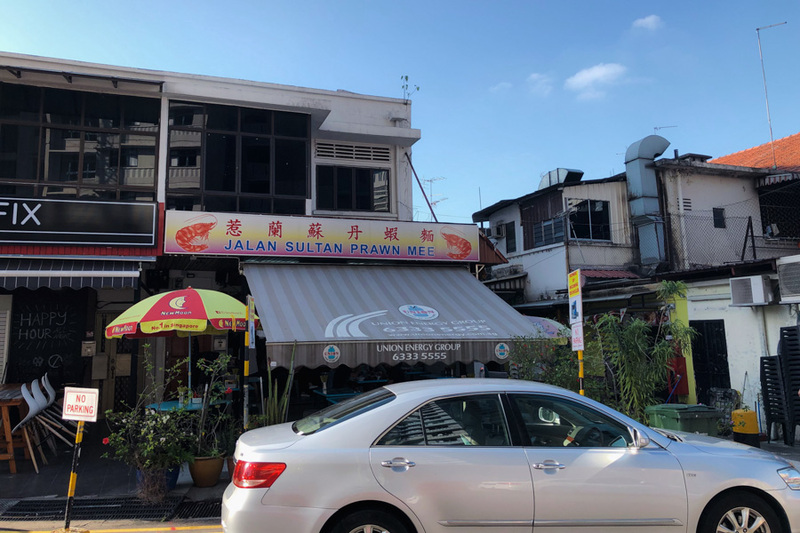 With over 70 years of history, Jalan Sultan Prawn Mee is also listed in the Singapore Michelin Guide with a “Michelin Plate”. 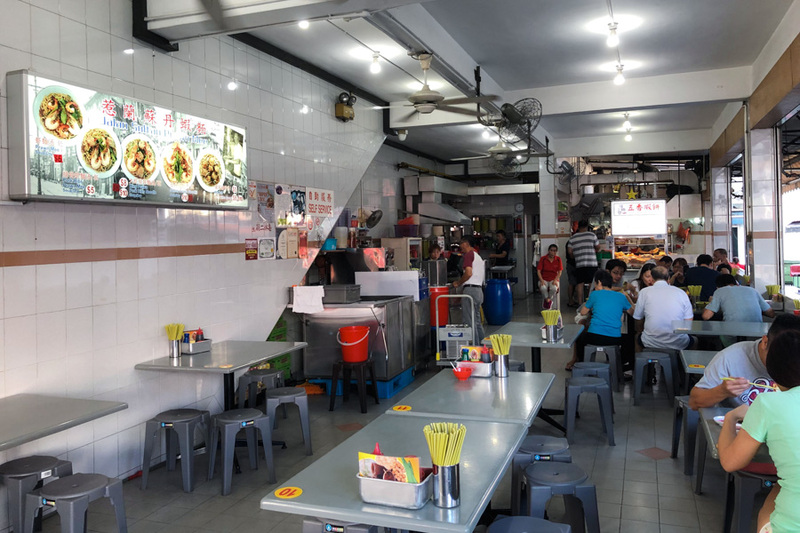 The famous noodle stall is located just off Geylang Lorong 1, a walking distance from Kallang MRT Station. 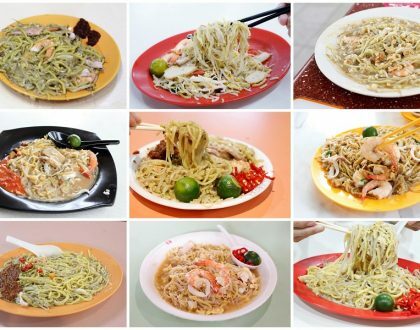 Just an interesting note, several prawn noodles shops are located away from where their shop name suggests. 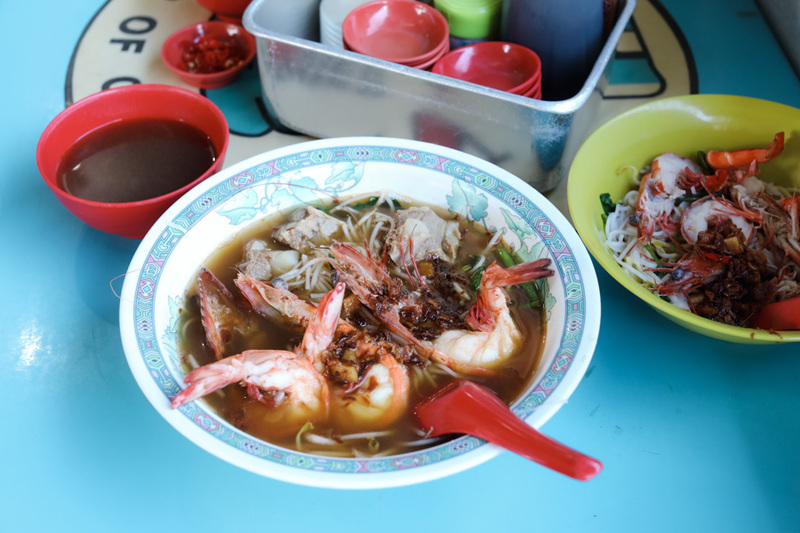 For example, this Jalan Sultan Prawn Mee is at Geylang, Beach Road Prawn Mee is at East Coast, while Albert Street Prawn Noodle is at Old Airport Road Food Centre. If you are driving, there isn’t much parking space outside the shop, and your best bet could be the HDB carparks near Lorong 3. 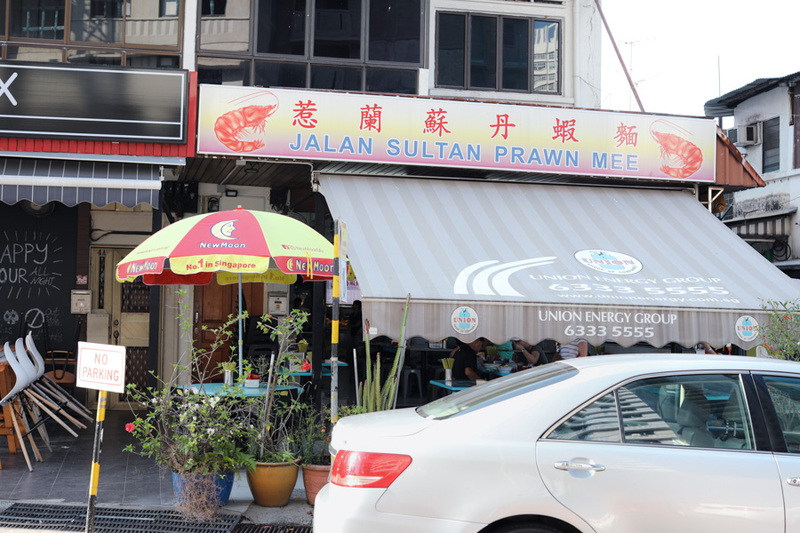 Its menu is straightforward – different combinations of prawns, king prawns, pork ribs and noodles. 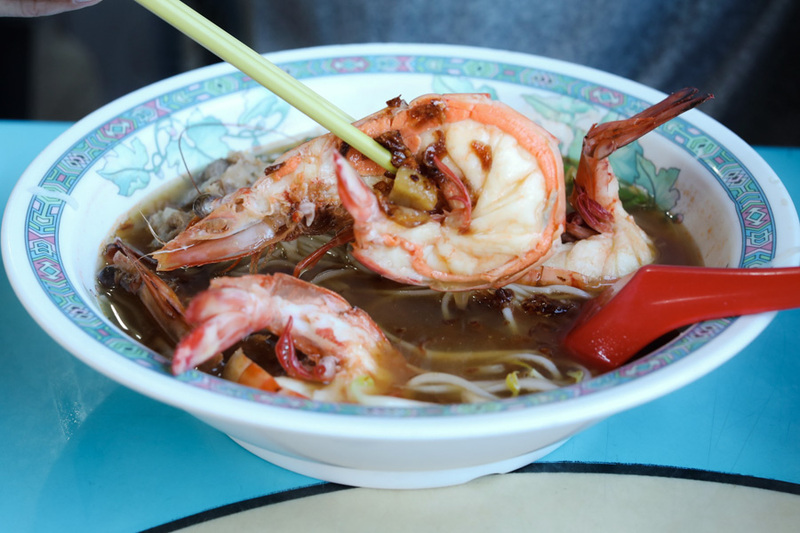 All prawn noodles are available as soup or dry, which comes with chili on the side and a small bowl of broth. 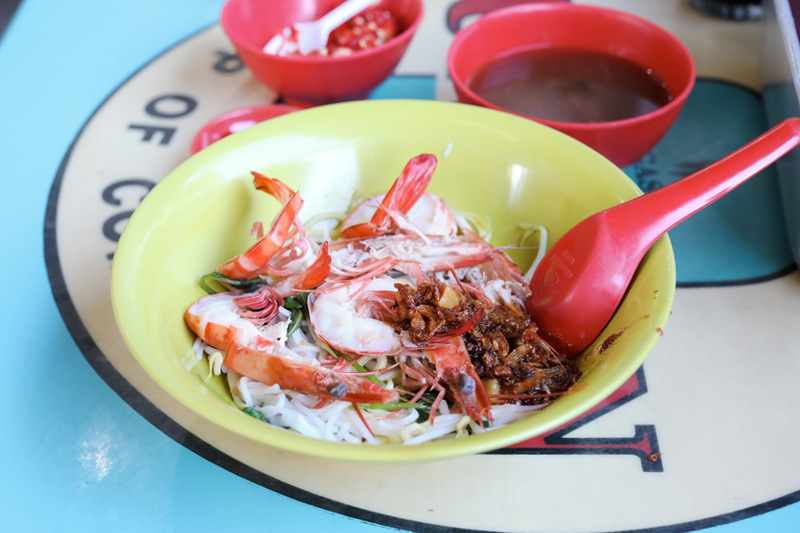 The fresh, sweet prawns come in 2 sizes – regular and “King”. 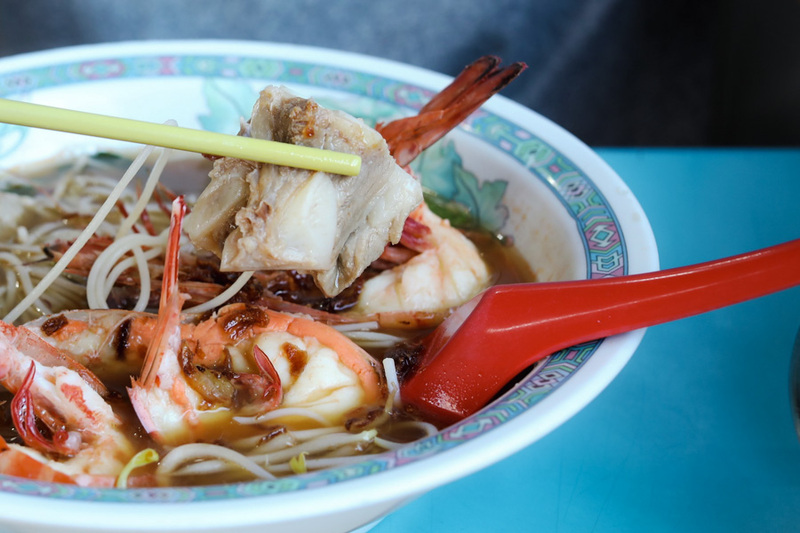 The basic bowl starts at $6 for Prawn Mee, while it is recommended to get the King Prawn Pork Ribs Noodle ($8, $10). There is also a Pig Thai Pork Ribs Soup ($5, $8, $10) offered. The King Prawn Pork Rib Prawn Mee ($5) is quite popular, cooked with tender pieces of pork rib and prawns of different sizes. 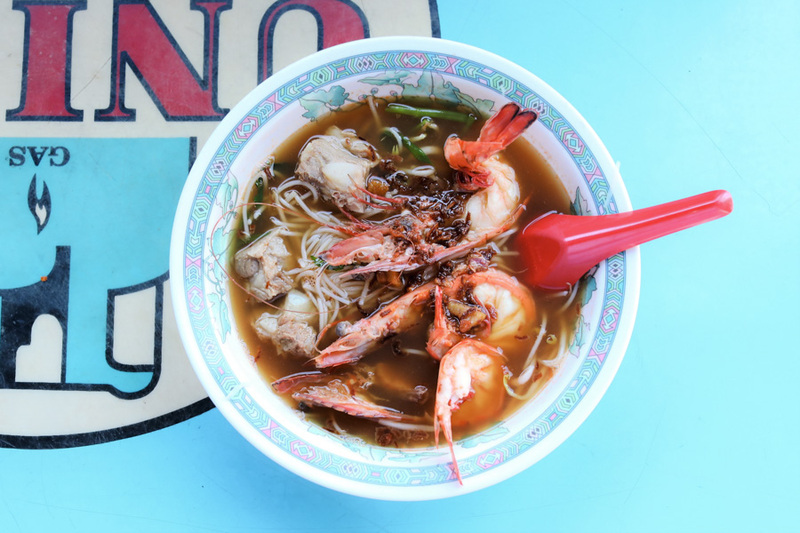 While my personal preference is typically the dry version, I say get the soup version for its broth, as it sets this apart from other stalls, mildly sweet and has a robust flavour. 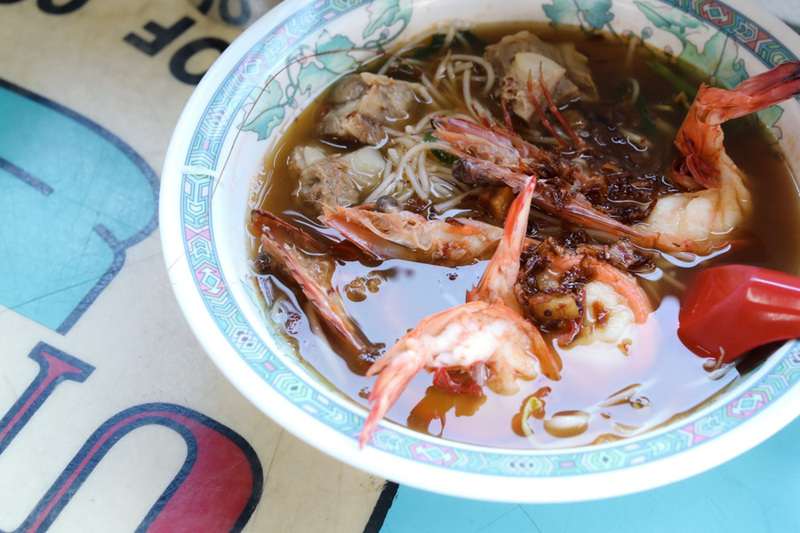 Compared to some of the famous stalls around, the soup base was lighter, more diluted, not as hot-hot, but still considered appetizing. It was ”qing” and thus not too heavy. Prawns were fresh and sweet, coming off the shells easily. 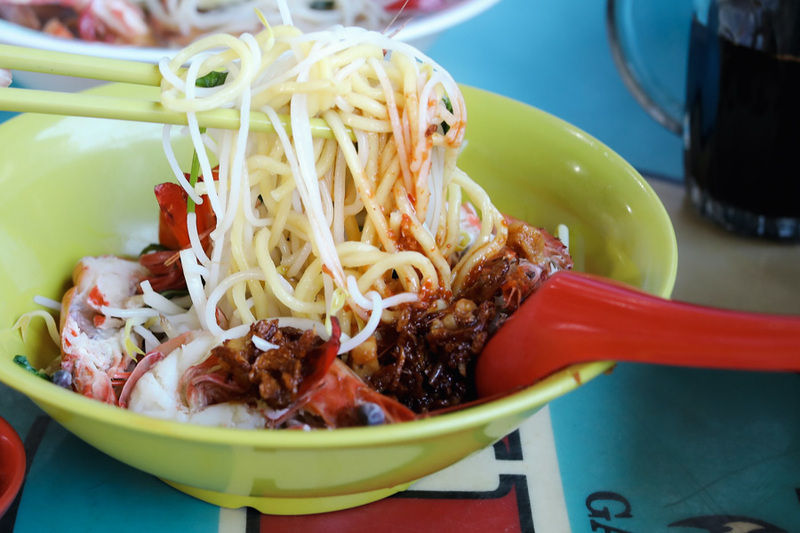 As for the dry noodles, you can opt to combine the yellow noodle and bee hoon, served with a mild savoury sauce and shallots. The dry version had a less impressionable sauce and chilli, and I could imagine the average diner preferring something more saucy or aromatic. This is a not-bad bowl, quite satisfying, though I suspect it used to be much better in the past. * Follow @DanielFoodDiary on Facebook, Instagram and Youtube for more food news, food videos and travel highlights. DFD paid for food reviewed unless otherwise stated.